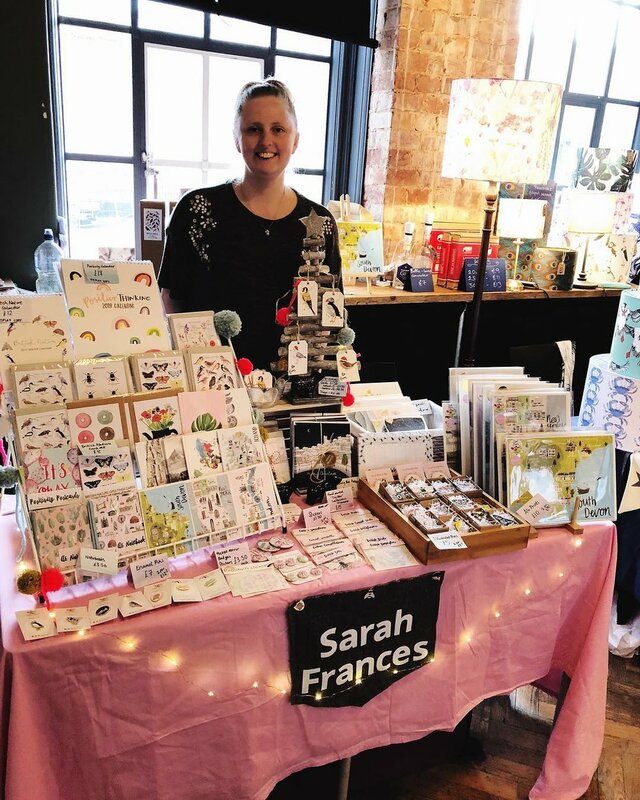 I had the absolute pleasure of having a stall at the very first Etsy Made Local event in Exeter held at Exeter Phoenix! I didn’t take many pictures but I did get my mum (who was my fab assistant for the weekend!) to take a picture of me and my stall on the Saturday once we got a brief break in the crowds. It was such an amazing event and I hope they’ll be many more like it in Exeter that I can go to. Well done to the organisers and our fab Exeter Etsy Team Rosie, Jess and Bobbie! In the brief times I could wander around the stalls, it was so exciting to see so many talented artisans on display. I didn’t get as much as I wanted, purely because I couldn’t decide in the time I had so I thought I’d do a quick round-up of makers that I was totally in awe of. Gilli makes some truly gorgeous wall hangings and embroidery and I couldn’t resist this lovely circle weaving. I can’t wait to get it up on my wall! Shop: Bluejay Made. You had to be very quick off the mark to grab one of Sarah’s beautiful pottery pieces! Every time I looked over (we were opposite each other on Sunday) there was another gap in her very lovely display. This mug is to die for! Shop: SBH Pottery. Mell is literally the nicest person in the world and makes some amazing eco-friendly journals. She also creates beautiful artwork and I’ll definitely be shopping with her again very soon! Shop: The Sunshine Bindery. I couldn’t wait to see Lucy’s weavings in person (and the lady herself of course!) because I’ve been admiring them for a long time on Instagram. Her woven Christmas trees are so bright and colourful and are great if you have limited space for a tree! Shop: Ylle Makes.